Homemade nut butters are great and nutritious, perfect for a ketogenic diet. Not only do you get the joy out of making it, but you have complete control of the ingredients. Want a Low Carb Chocolate Macadamia Butter? Add cocoa. 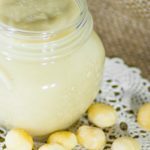 Want a Sweet Macadamia Butter? Add erythritol. Maybe everyone wants a different flavor? Split the mix and each person can personalize their own jar. The possibilities are endless! 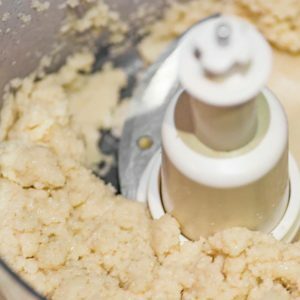 Place macadamia nuts and salt in food processor and blend on medium speed. The nuts will break down into small pieces before becoming sticky, scrape down the sides of the bowl every few minutes to ensure you get an even texture. Depending on how powerful your food processor is you may need to take a 2-5 minutes break for every 5 minutes of processing - especially if the processor is becoming hot. Continue to process until the macadamia nuts have turned into a creamy paste. The more you blend, the smoother it will be.